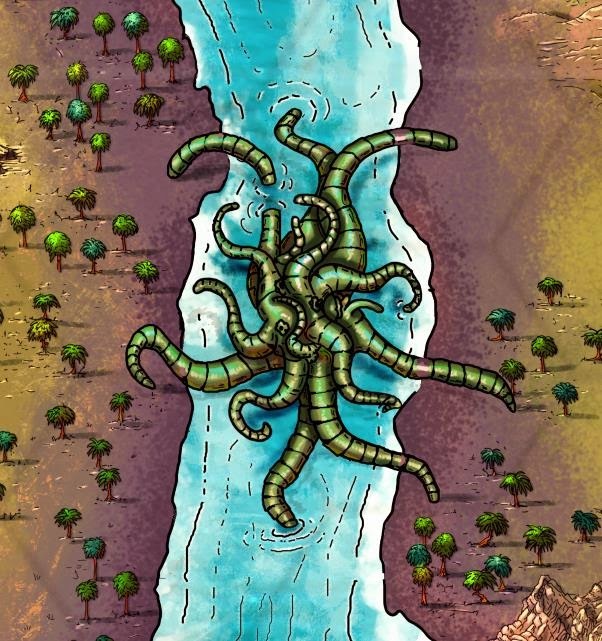 For those who don't know, I've been working on a new OSR campaign setting and hex-crawl book with optional rules since December 2013. It wasn't supposed to be as lengthy as it's turned out to be. The more I wanted to include, the longer the book became, and with that, the greater my challenge. Right now, Ed Wedig and I are about halfway through the layout phase of the book. It's a process of trial and error, getting things just right, making sure illustrations are correctly placed, realizing our mistakes or miscommunication and then going back to fix whatever needs fixing. The rest of May will be a race to the finish line. Yet, I won't sacrifice quality. Worse case scenario (other than my untimely death or something) is we'll be a couple weeks late. However, at this stage I'm still confident that the kickstarter deadlines will be met. Thankfully, I built-in a month of cushion time just in case. Purple would be in your hands by now (or at least on your computers) if it was only 32 pages long. Hard to say exactly what the page count will come in at once it's all finished, but I think 111, ballpark. 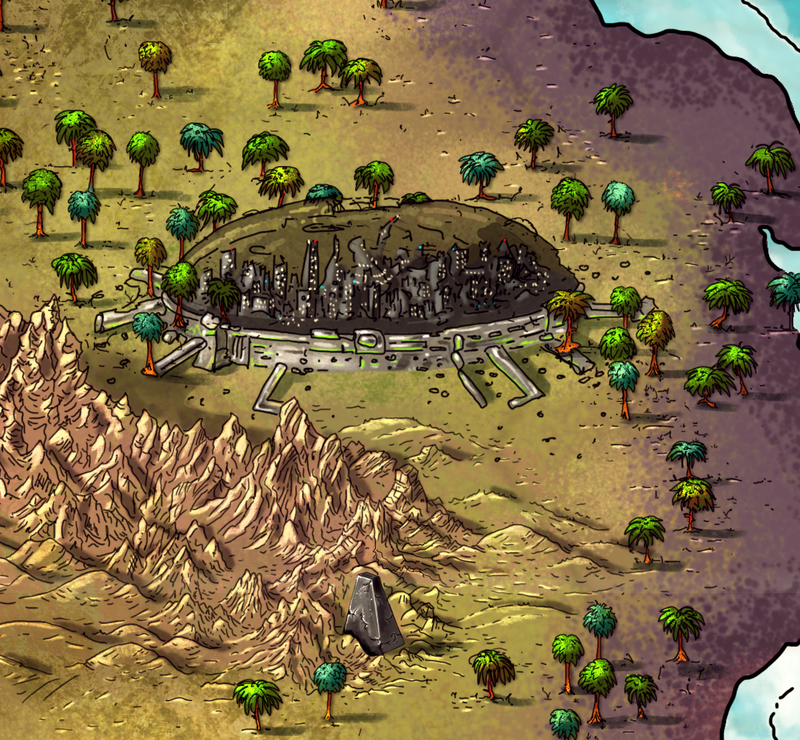 Anyways, the color version of the map is finished. Alyssa Faden did an excellent job! 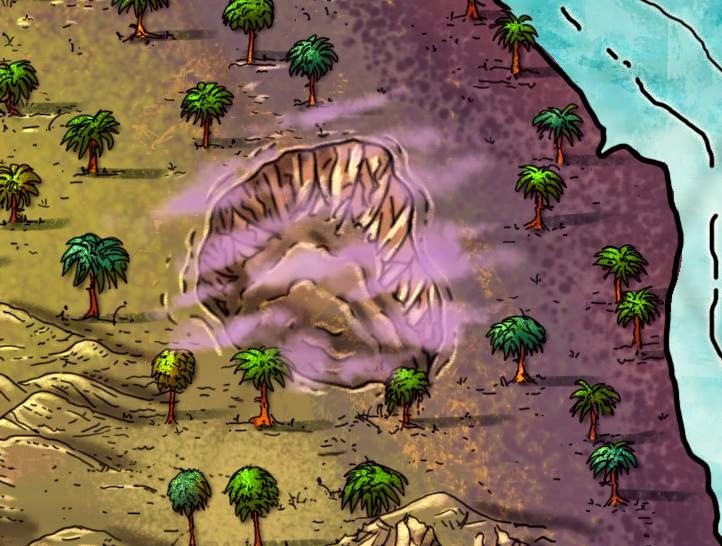 So, here are a few zoomed-in snapshots around the purple islands to tide everyone over until the next update. If you have a question about The Islands of Purple-Haunted Putrescence, feel free to ask. One last thing... your support and enthusiasm are very much appreciated. No one should have to suffer through a six month slog without the awesome encouragement I've received from all quarters of the paper & pencil RPG community. Thanks, everyone! p.s. You can read the teaser flash fiction here. What's Next for the OSR? Will 6th Edition Have Open Art-Testing?